Gary Player, Golf pro, born November 1, 1935 in Johannesburg, South Africa. Player is considered one of the greatest players in the game's history. He has logged more than 14 million miles in travel, probably more than any other athlete. Dubbed the Black Knight, Mr. Fitness, and the International Ambassador of Golf, Player is a renowned golf course architect with more than 300 design projects throughout the world. 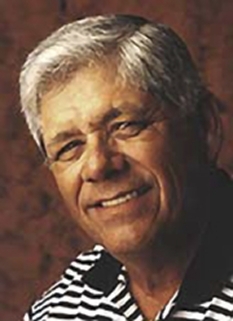 Player is one of the most successful golfers in the history of the sport, ranking third (behind Roberto de Vicenzo and Sam Snead) in total professional wins, with at least a hundred and sixty-six, and tied fourth in major championship victories with nine. Along with Arnold Palmer and Jack Nicklaus he is sometimes referred to as one of "The Big Three" golfers of his era — from the late 1950s through the early 1970s — when golf boomed in the United States and around the world, greatly encouraged by expanded television coverage. Along with Gene Sarazen, Ben Hogan, Jack Nicklaus and Tiger Woods, he is one of only five players to win golf’s "career Grand Slam". He completed the Grand Slam in 1965 at the age of twenty-nine. Player was the second multi-time majors winner from South Africa, following from Bobby Locke, and succeeded by Ernie Els and Retief Goosen. Gary Player played regularly on the U.S. based PGA Tour from the late 1950s. He led the money list in 1961, and went on to accumulate twenty four career titles. He also played an exceptionally busy schedule all over the world, and he has been called the world's most travelled athlete, clocking up more than 14 million miles. He has more victories than anyone else in the South African Open (thirteen) and the Australian Open (seven). He held the record for most victories in the World Match Play Championship, with five wins, from 1973 until 1991 when this feat was equalled by Seve Ballesteros, finally losing his share of the record in 2004, when Ernie Els won the event for a sixth time. 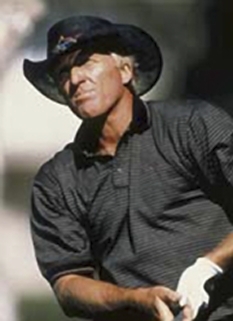 Player was ever-present in the top ten of Mark McCormack's world golf rankings from their inception in 1968 until 1981; he was ranked second on those rankings in 1969, 1970 and 1972, each time behind Jack Nicklaus, and had those rankings been based on just the most recent two seasons (like their modern counterpart) Player would have been number one in 1969. He was the only player in the 20th century to win the (British) Open in three different decades. His first win, as a 23-year-old in 1959 at Muirfield, came after he double-bogeyed the last hole, and broke down in tears thinking he had lost his chance, but none of the remaining players on the course could match the clubhouse lead he had set. In 1974, he became one of the few golfers in history to win two major championships in the same season. 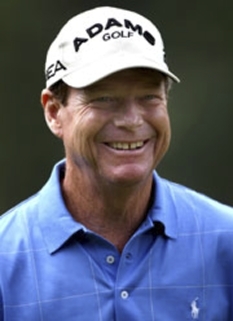 Player last won the U.S. Masters in 1978, when he started seven strokes behind the leaders entering the final round and won by one shot with birdies at seven of the last 10 holes for a back nine 30 and a final round 64. One week later, Player came from seven strokes back in the final round to win the Tournament of Champions. In 1984, at the age of 48, Player nearly became the oldest ever major champion, finishing just behind Lee Trevino at the PGA Championship. 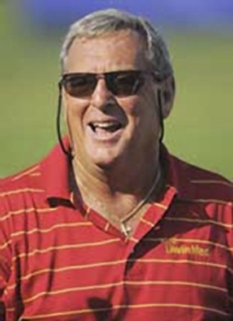 And in gusty winds at the 1998 Masters, he became the oldest golfer ever to make to the cut, breaking the 25-year-old record set by Sam Snead. Player credited this win to his dedication to the concept of golf fitness. Being South African, Player never played in the Ryder Cup in which American and European golfers compete against each other. Regarding the event, Player remarked, "The things I have seen in the Ryder Cup have disappointed me. You are hearing about hatred and war." 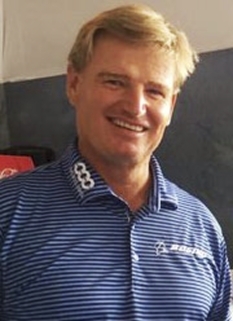 He was no longer an eligible player when the Presidents Cup was established to give international players the opportunity to compete in a similar event, but he was non-playing captain of the International Team for the Presidents Cup in 2003, which was held on a course he designed, The Links at Fancourt in George, South Africa. After 2003 ended in a tie, he was reappointed as captain for the 2005 Presidents Cup, and his team lost to the Americans 15.5 to 18.5. 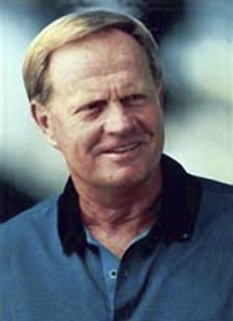 Both Player and Jack Nicklaus were appointed to captain their respective teams again in 2007 in Canada; the United States won. In 1966, Gary Player was awarded the Bob Jones Award, the highest honor given by the United States Golf Association in recognition of distinguished sportsmanship in golf. He was inducted into the World Golf Hall of Fame in 1974 and "Gary Player — A Global Journey" exhibition launched by the Hall of Fame as of March, 2006. 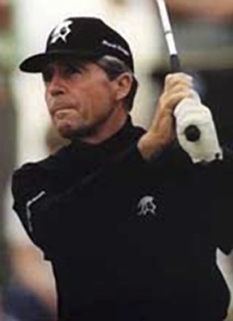 Gary Player's business interests are represented by Black Knight International, which includes Gary Player Design, Player Real Estate, and Gary Player Enterprises, aspects of which include licensing, events, publishing, videos, apparel and memorabilia. The Gary Player Stud Farm has received worldwide acclaim for breeding top thoroughbred race horses, including 1994 English Derby entry Broadway Flyer. He operates The Player Foundation with its primary objective to promote education around the world. In 1983, The Player Foundation established the Blair Atholl Schools in Johannesburg, South Africa, which has educational facilities for more than 500 students from kindergarten through 8th grade. In 2008 it celebrated its 25th Anniversary with charity golf events in London, Miami, Shanghai and Cape Town, bringing its total of funds raised to over US $30 million. 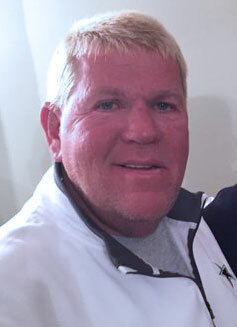 In July 2007, a media controversy emerged over his statements at the British Open golf tournament about the use of performance enhancing drugs in golf. Subsequently, the PGA Tour introduced a formal policy. In October 2007, further media controversy arose about his involvement in the 2002 design of a golf course in Burma. Since then both Nelson Mandela and Archbishop Desmond Tutu have accepted Player's position on the matter. DISCLAIMER: PFP Sports Talent Agency does not claim to represent itself as the exclusive agent for Gary Player. PFP Sports Talent Agency is a booking agency that represents organizations seeking to hire pro athletes and sports personalities such as Gary Player for speaking engagements, personal appearances, product endorsements and corporate entertainment. Fees on this website are estimates and are intended only as a guideline. Exact fees are determined by a number of factors, including the location of event, the talent’s schedule, requested duties and supply and demand. PFP Sports Talent Agency makes no guarantees to the accuracy of information found on this website and does not warrant that any information or representations contained on this website will be accurate or free from errors. We are often asked how can I find out who is Gary Player's agent? To find Gary Player appearance fees and booking agent details, you can contact the agent, representative or manager through PFP Sports Talent Agency for speaking fee costs and availability. PFP Sports Talent Agency can help your company choose the ideal sports personality for your next marketing campaign. To hire Gary Player for an appearance, speaking event or endorsement, contact Gary Player's booking agent for more information.